The advent of the smartphone was a turning point in the capture and proliferation of news media. Looping B-rolls of the aftermath, captured by professional news teams, has been replaced by compelling footage of unfolding events, thanks to the ubiquitous presence of ready-to-go cameras on large swaths of the general public. The concept of citizen journalism is, of course, nothing new. But it is a role that experiences both evolutionary and revolutionary advancements thanks to the commoditization of technological breakthroughs. As it was revolutionized through the smartphone, and has continued to evolve through changes in social media, citizen journalism is going through yet another redefining change, thanks to the power of live, mobile video. Citizen-captured footage provided a record of how the events unfolded, but through an after-the-fact medium. Social media provided up-to-the-minute updates, but often through less visual and size-constrained formats. And now live mobile video offers an unprecedented level of raw, instantaneous coverage. Powering this next stage in citizen journalism is a passion for Stream, and we’ve attacked the innate challenges of live video ingest and distribution at consumer-level scales. With Stream, news outlets can engage, aggregate, and publish user generated content in realtime, while retaining access to archived footage for post production and VOD distribution channels. 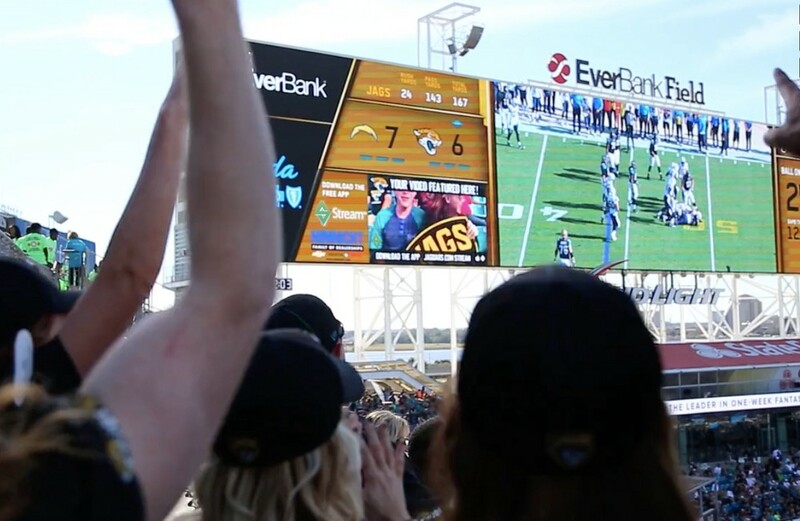 Stream powering live from the crowd to the Jumotron during the NFL Jaguars Game. While they may dominate the news cycle, the power of live mobile video extends beyond protests, politics, and natural disasters. Professional sports teams are already using Stream to create compelling fan engagement experiences through live, user generated content. Whether it be off-site viewing parties broadcasting to online digital properties, or giving the attendees in the stands a true fan cam experience, the intangible appeal of “live” is proving to be a powerful weapon in the arsenal of live event media. If you’d like to see how the Stream Enterprise Portal can unlock powerful, two-way engagements with your viewing audience, send us an email today at sales@stream.live.